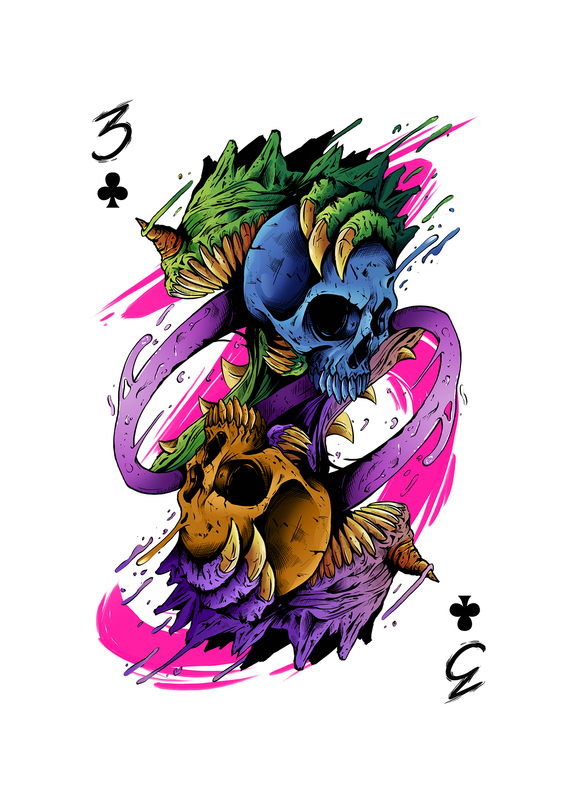 My take on the 3 ♣ from Playing Arts 2016 Edition. 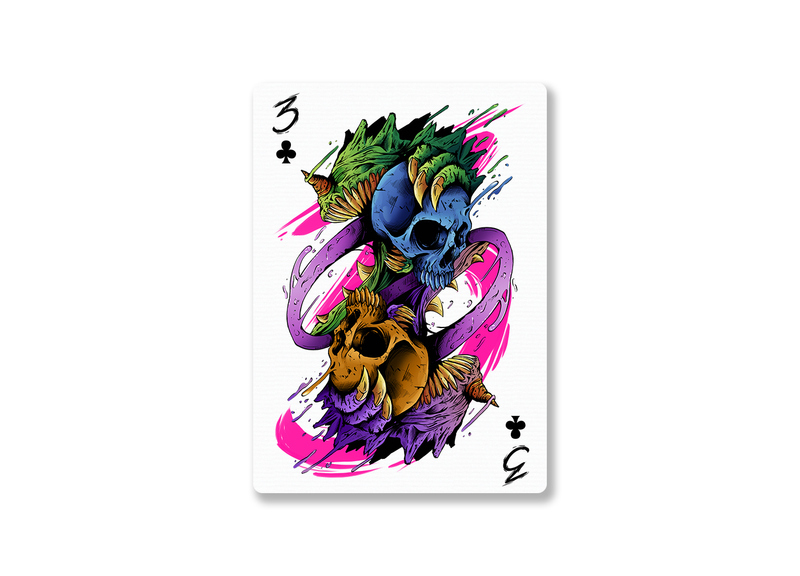 "Playing Arts is a collaborative art project that gathers the best designers and illustrators from all over the world with an idea to express their vision of an ordinary playing card using personal styles, techniques and imagination." As a fan of these card decks, it's been an honor to be invited and design one of them for the 2016 Edition.